Nope! I'm not over "LA LA LAND" yet. I can now say that my previous favourite romantic movies have been replaced. I know, I know. My previous favourites had happy endings-- somehow. But this movie has a different ending that just makes it more beautiful. I believe that THAT is true love. 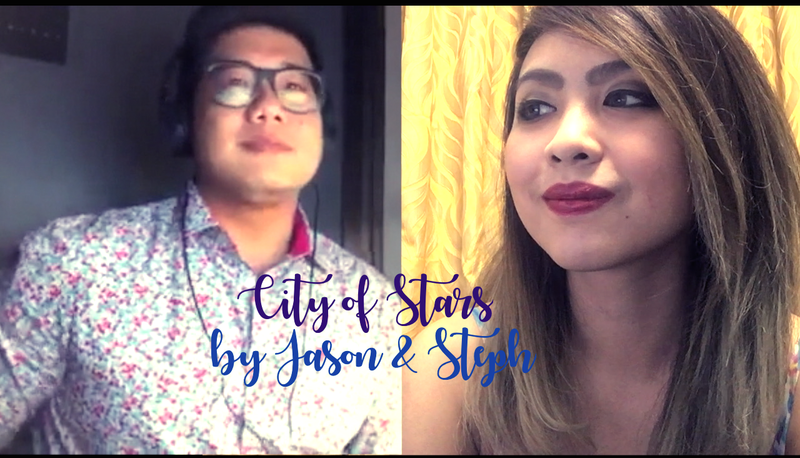 During the time I made this cover, I saw that Jason (Greenpinoy) also made a solo version of the song. To those who do not know, Greenpinoy was one of the first internet celebrities on Youtube and Blogger, who ended up having his own show on Project Ube back in 2008. Since then, we became friends, and it was such an honour to have been able to make a duet cover with this guy who is full of #GoodVibes. Check out our duet of "City of Stars"! Special thanks to Ager for the instrumental!